In early October, NK News unveiled its seventh annual wall calendar. Published every year since 2012, the NK News Calendar is one of the most highly anticipated holiday specials offered to NK News readers and the North Korea watching community. This year’s calendar features stunning snapshots of life around North Korea, handpicked from over 20,000 photos taken throughout reporting and tourism trips in Pyongyang, Sinuiju, Wonsan and Mount Kumgang this year. 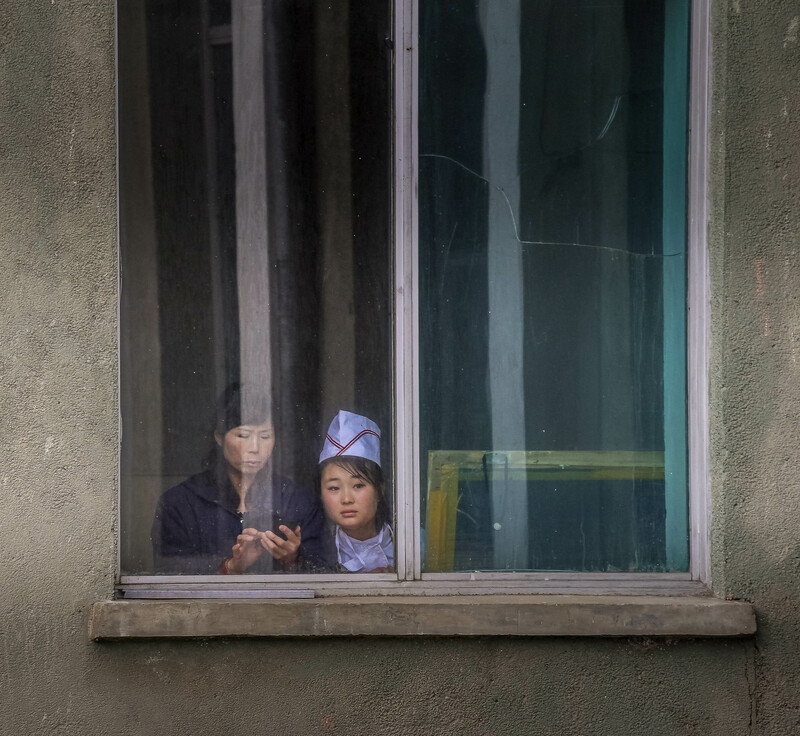 While certainly not a “rare glimpse” into the country, the selection of photos offers a unique perspective into the daily lives of local residents, and also serves as a photographic reminder that there is more to North Korea than just nuclear weapons and military parades. Photographers who have contributed to previous NK News calendars include C. Petersen-Clausen, E. Lafforgue, and P. Dupont. Printed on 12 by 12 inch 300gsm matte finish ultra-deluxe card by PrintingCenterUSA, which specializes in booklet and calendar printing, the calendar’s robust finish makes it both high quality and durable. The calendar is available for purchase at the NK Shop for 29.99 USD. Get your own copy today ahead of the new year, and save 10% using code nknews10. 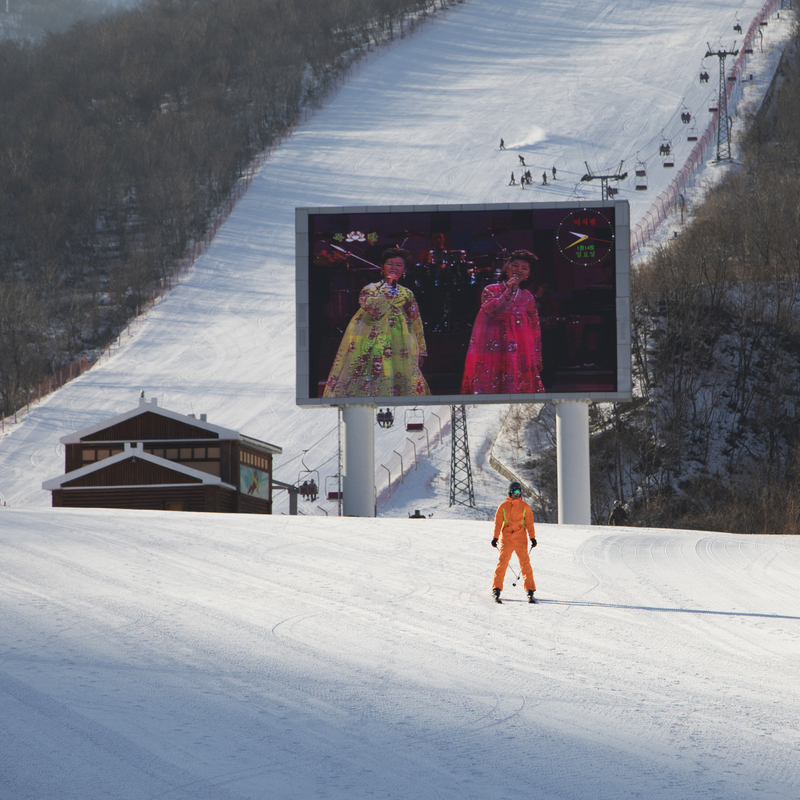 A large screen featuring the Mokran state channel sets the background of a ski slope. If it weren’t for the large screen blaring out North Korean TV, it would feel like you could be in any ski resort in the world, with its well-groomed pistes and high-tech facilities. An ice-rink attendant from Pyongyang’s National Ice Rink peers straight into the lens, an unusual occurrence. The indoor ice rink is known to annually host the Paektusan International Figure Skating Festival, attracting professional participants from mostly eastern and central European countries, Scandinavia, China and Russia. 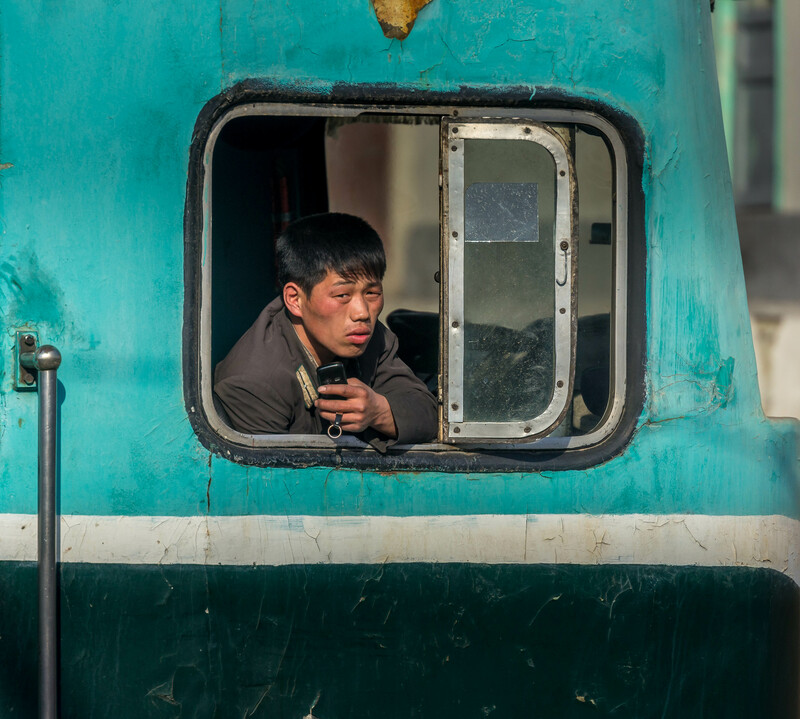 A young train conductor clasping his cell phone stays behind in the static train in between shifts. While North Korea’s railroads have not been developed significantly since the colonial era, the Pyongyang-Sinuiju line, which this train is taking here, is considered the best, with 60% of the line constructed using concrete. 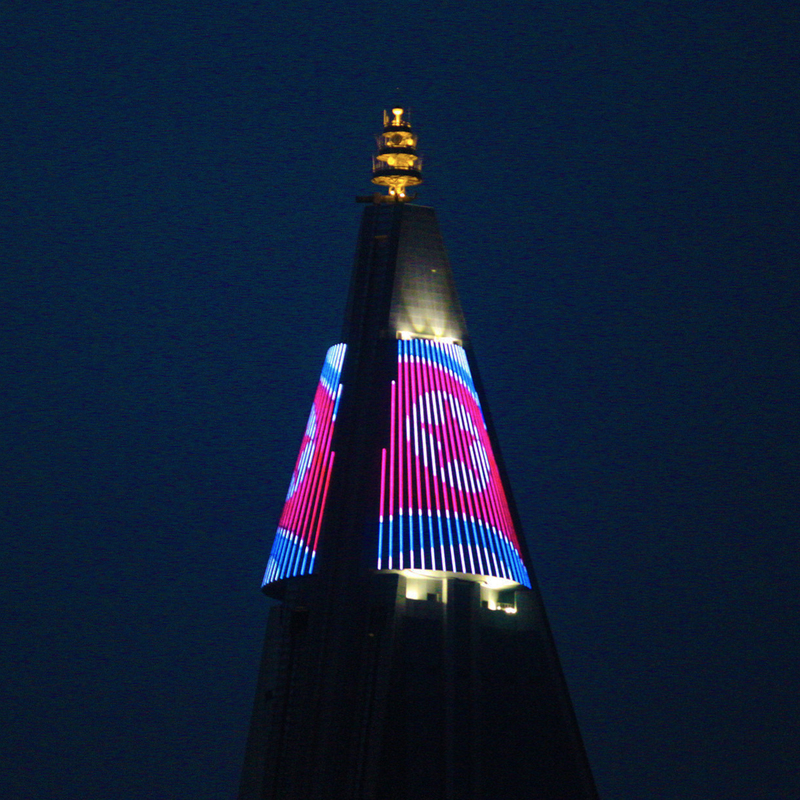 In April 2018, a huge LED-style display was added to the top of Pyongyang’s iconic 105-floor Ryugyong Hotel. The display, which spans at least five floors, can often be seen depicting a large North Korean flag that appears to blow in the wind. Three decades since construction first began in 1987, the “Hotel of Doom” remains unfinished. 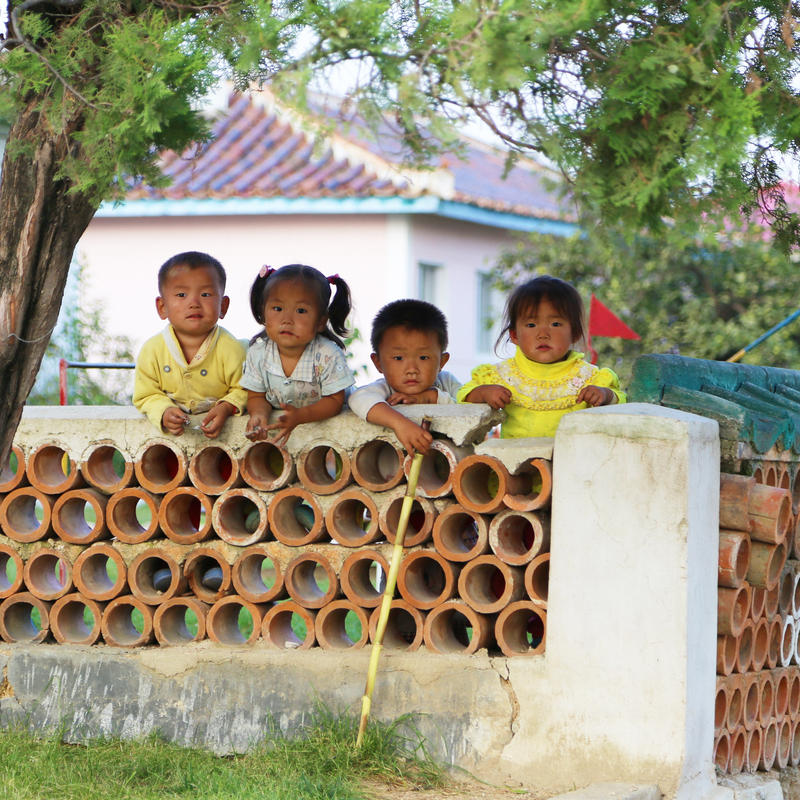 Four North Korean kids take a peek at life outside their playpen, in South Hamgyong Province. It is common for parents to send their children to local daycares and nurseries, and for households with working parents, to send sick or malnourished children to local institutions until they recover. Welcome to Ullim Waterfall, where you'll find North Koreans enjoying their free time with a portable karaoke machine, barbecue, caigarettes, and locally produced beer. Located off the main road connecting Pyongyang to Wonsan, the waterfall is accessible to both tourists and locals. 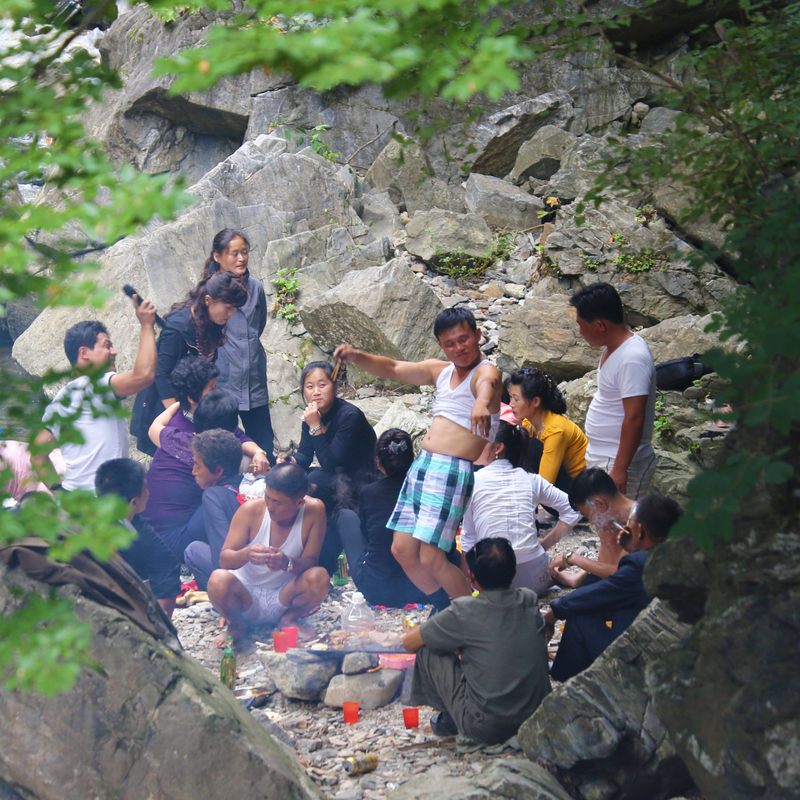 Summer BBQ, North Korean-style. 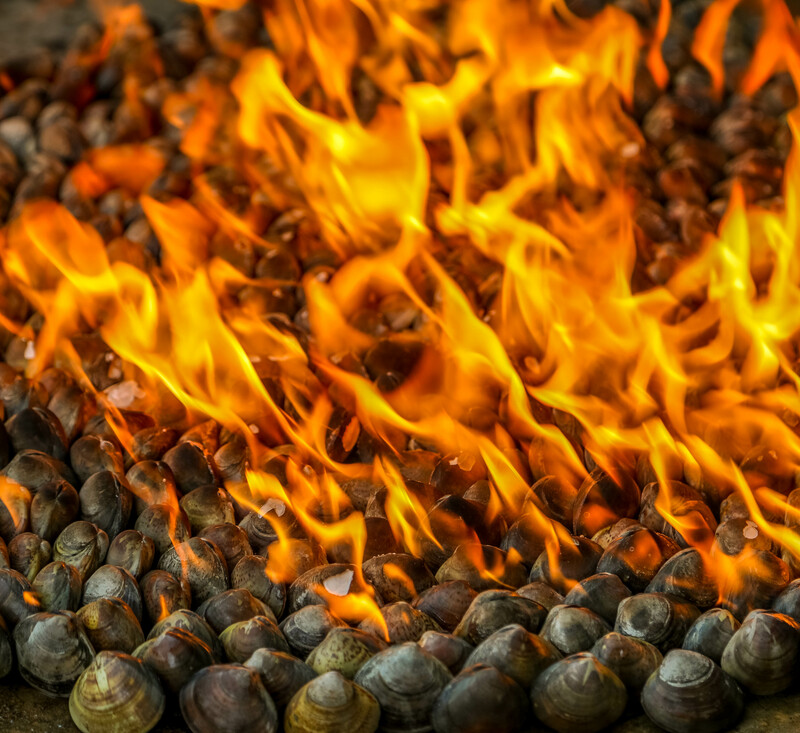 Petrol barbecue involves placing clams upright on a concrete slab, then pouring petrol over them to set them alight. After five minutes, you have delicious (and sometimes undercooked) baked clams. Always accompanied with Soju, the liquor of choice. An employee works the control panel at the Kangso Yaksu Mineral Water Bottling Plant. This high-tech plant is a bit of a showpiece, with most of its machinery imported from Italy. 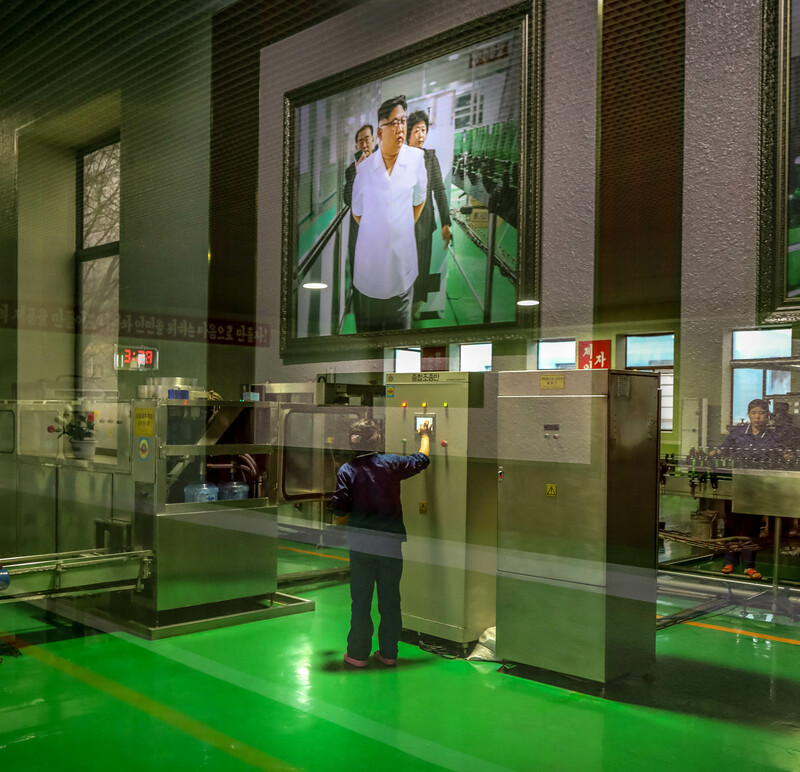 In the background hangs a large portrait of Kim Jong Un inspecting the same factory. 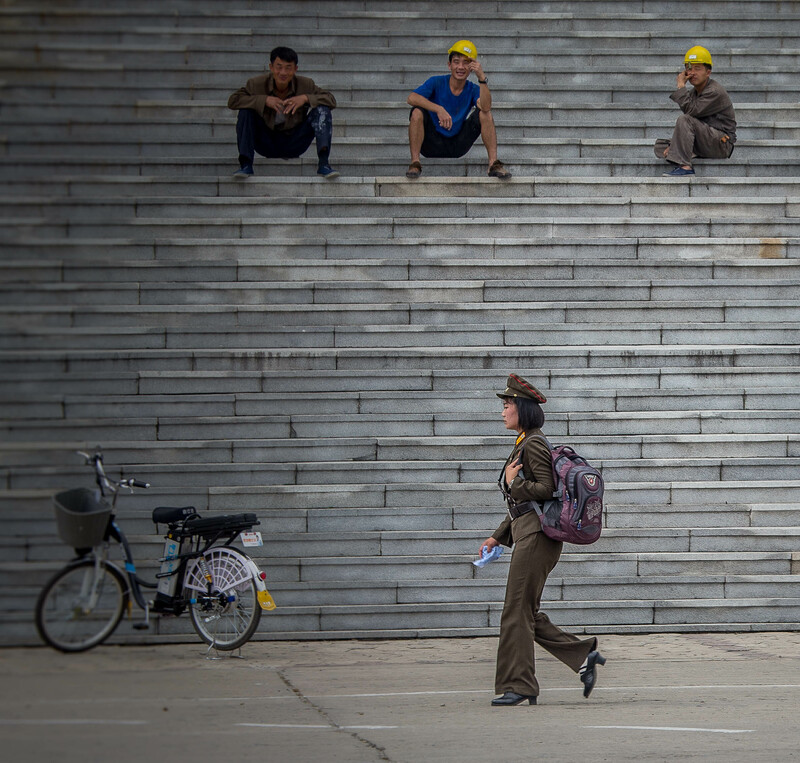 A young female soldier walks past construction workers perched on the steps of the Hamhung Grand Theatre, which is currently undergoing renovation. In the foreground is an electric bike imported from China, an increasingly popular form of transportation. Fishermen have a laugh while mending their lobster pots in Rason. 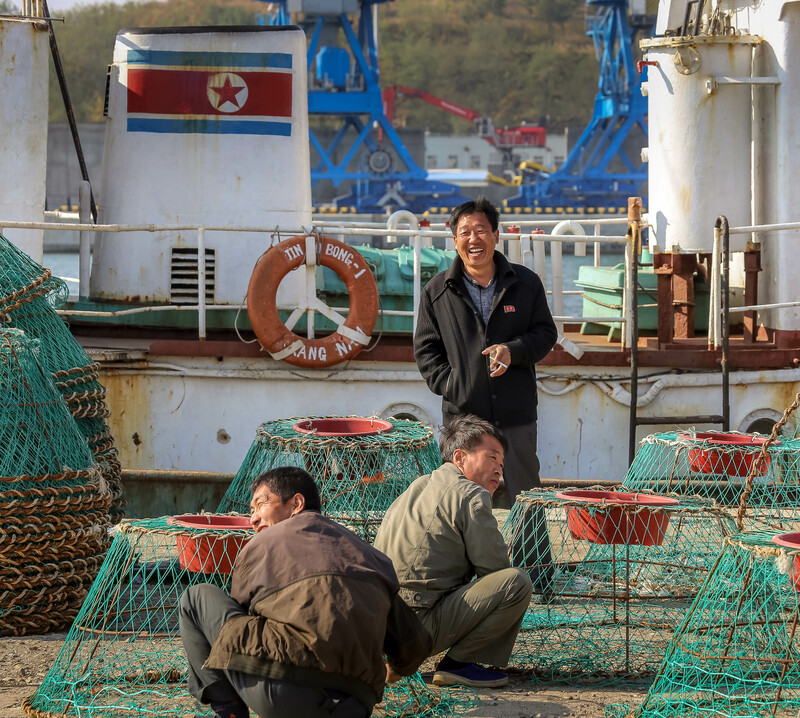 Some of North Korea’s fishing fleet is known to be private, operated by entrepreneurs in their 20s and 30s who make money from selling their catch. Most of North Korea’s fishing fleet in the northeast and southwest has been private since the 90s. 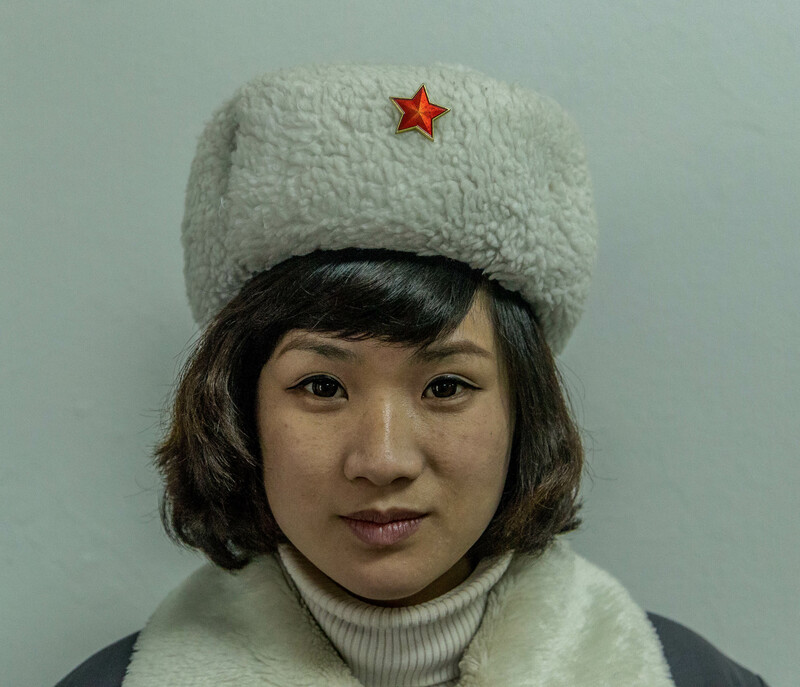 A young service lady looks out at the group of tourists at a hotel in Nampo. The woman on her left checks her phone. A necklace hangs on a duct-taped picture frame. 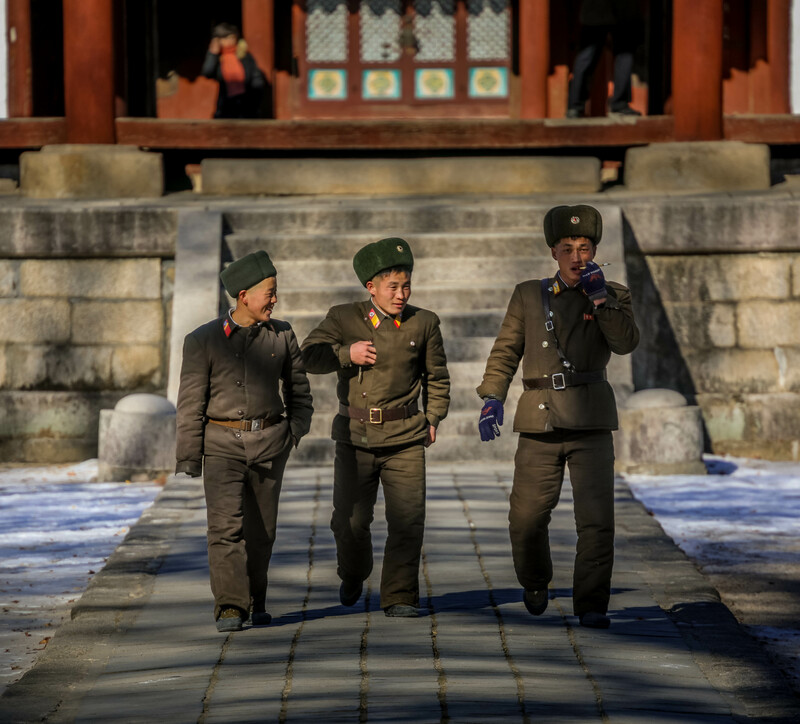 Three young soldiers walk across a paved path in Kaesong. The one on the right--wearing a pair of Armani Jeans gloves--appears to be smoking a “Clove-smoking rod” produced by Susong Trading Corporation, which is advertised as having the ability to lower the chance of respiratory diseases caused by smoking. While smoking is widespread among North Korean men, the country has recently taken steps to curb what is likely a major public health risk factor. 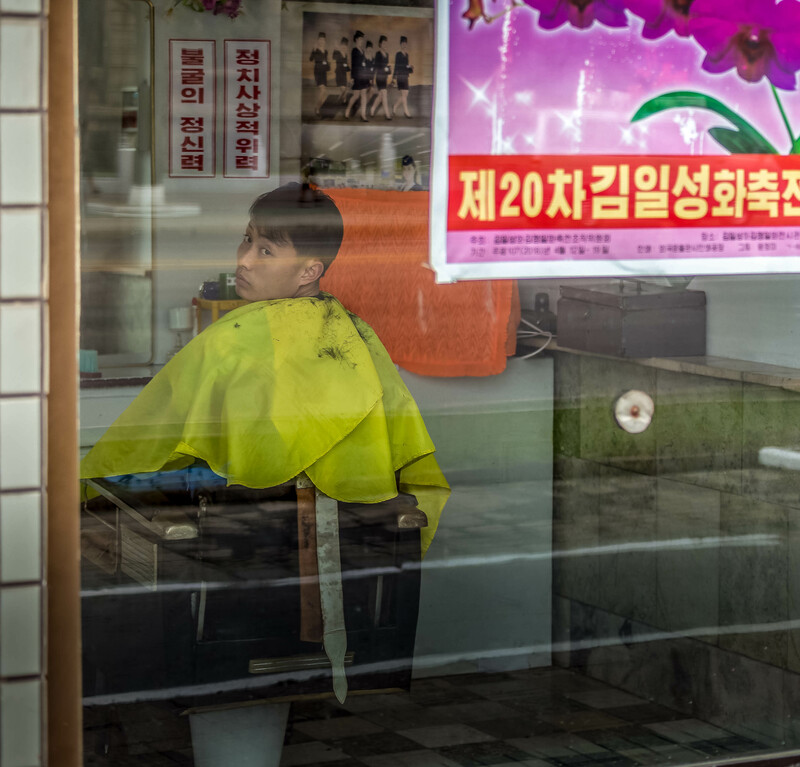 A young man awaits his next government-approved haircut in one of Pyongyang's many barber shops near Kim Il Sung square. While authorities have been known to be more flexible with fashion and hairstyles in recent years, North Korea expert Andrei Lankov cites a comeback of patrol units under Kim Jong Un. In the streets of Pyongyang, you would see middle-aged ladies of the "nyomyong kyuchaltae". Their task? To stop and interrogate anyone whose dress or haircut does not meet officially prescribed norms. Dying one's hair could result with a big fine or even a short period of mandatory labor.